The kids are all grown up ... and now I have more time to share my interests, expertise and curiosities right here with you. Enjoy! 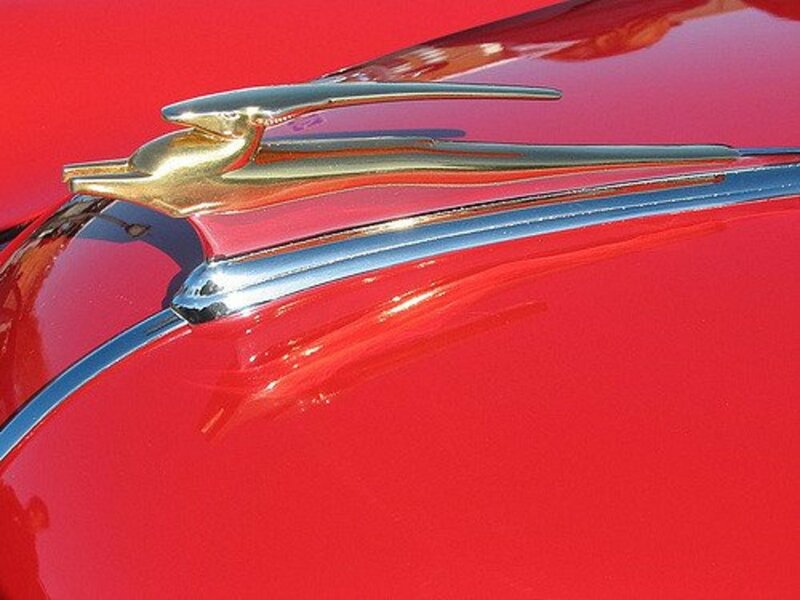 History reveals that many hood ornaments were themed to reflect the most powerful (or modern) technology of the times—locomotives in the 1930s; airplanes, torpedoes & gunsights in the 1940s; and jet aircraft and rockets in the 1950s. 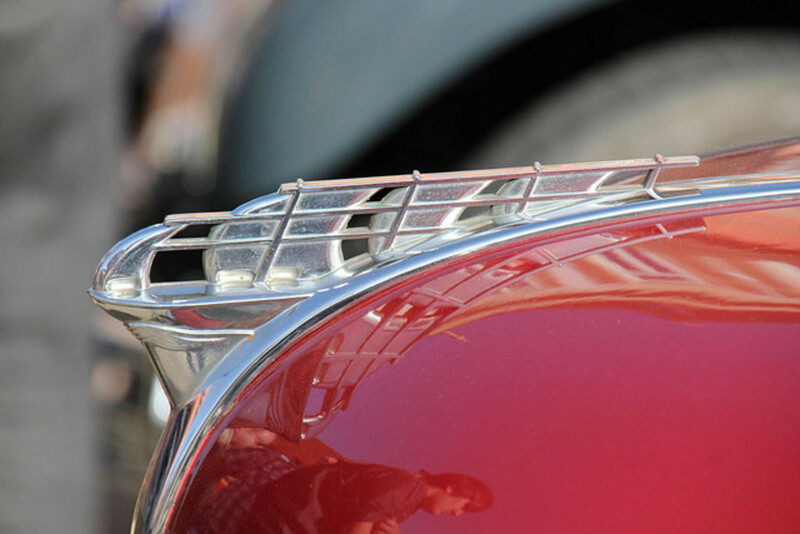 These technology imageries coupled with several other stylized shapes and themes inspired a wide array of hood sculptures that still fascinate classic and vintage car aficionados today. When the next county fair or antique car show rolls around in your area, take the time to visit. 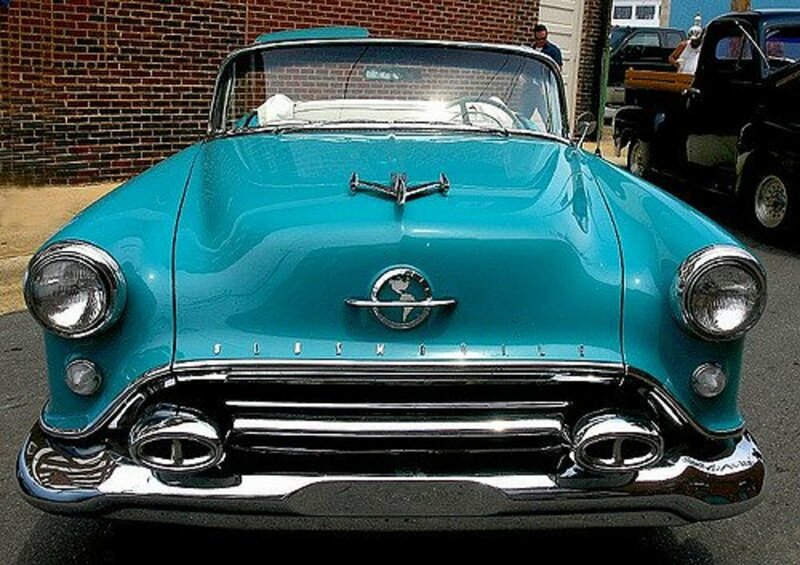 You'll be amazed at the display of immaculately kept (or restored) classic American automobiles sporting their original grills, trim and yep, you guessed it—beautiful hood ornaments. 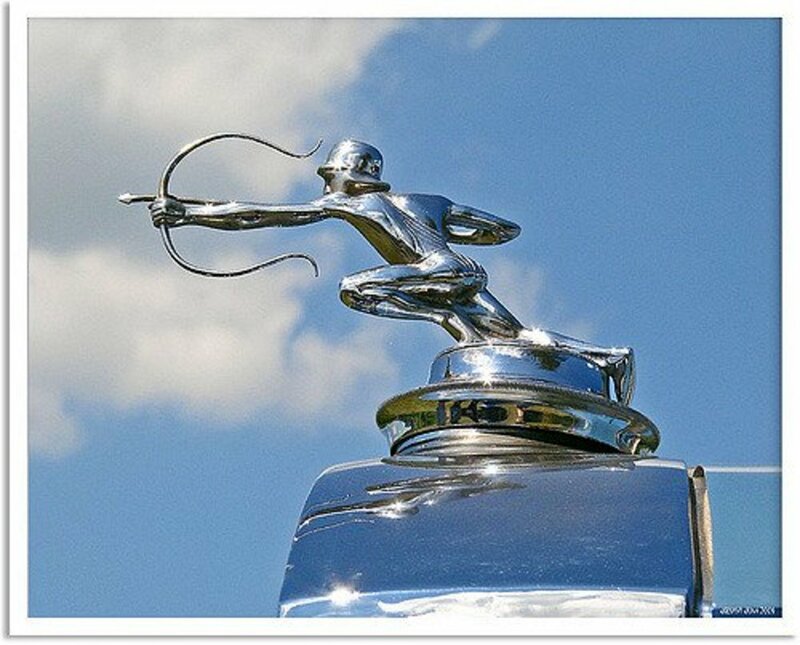 In the meantime, take a "scroll" through this photo exhibit of several American car makers and their hood ornaments from the 1930s, 1940s and 1950s. Early automobiles had their radiator caps outside of the hood and just above the grille. Since the exposed radiator cap occupied a prominent place on the vehicle, opportunities arose to transform it into an art form. 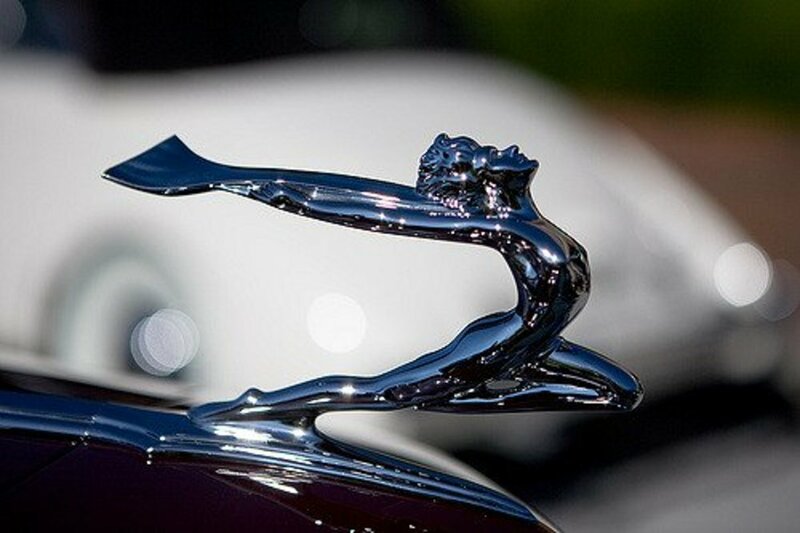 Hood ornaments (or car mascots as they are known in the UK) were especially popular in the 1920s, 1930s, 1940s, and 1950s as a way of individualizing the car and representing an automaker's vision of their cars. 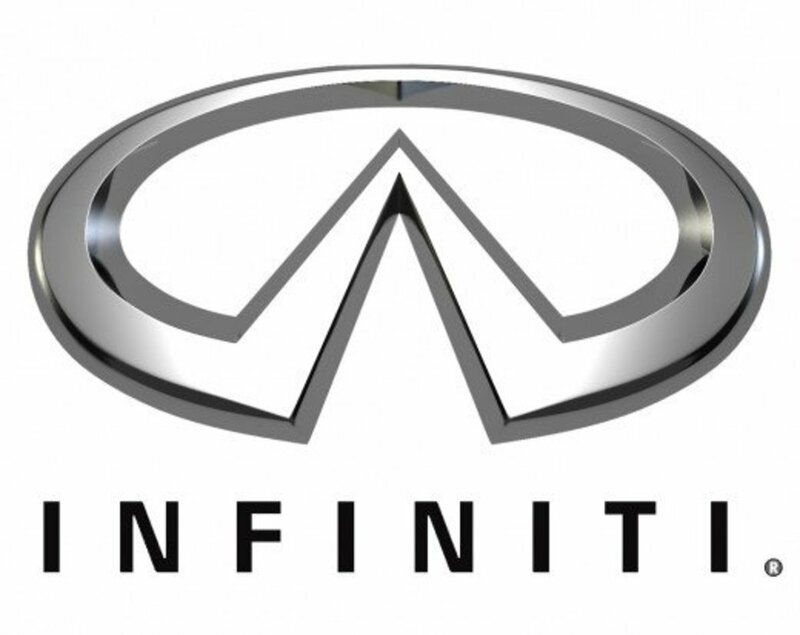 The Buick Motor Company was originally incorporated in 1903, by David Dunbar Buick in Detroit, Michigan. Later that year, the struggling company was taken over by James H. Whiting who moved it to his hometown of Flint, Michigan. The Cadillac Automobile Company was founded in 1902 and was subsequently purchased in 1909 by General Motors. Over the following 30 years, Cadillac established itself as America's premier luxury car. 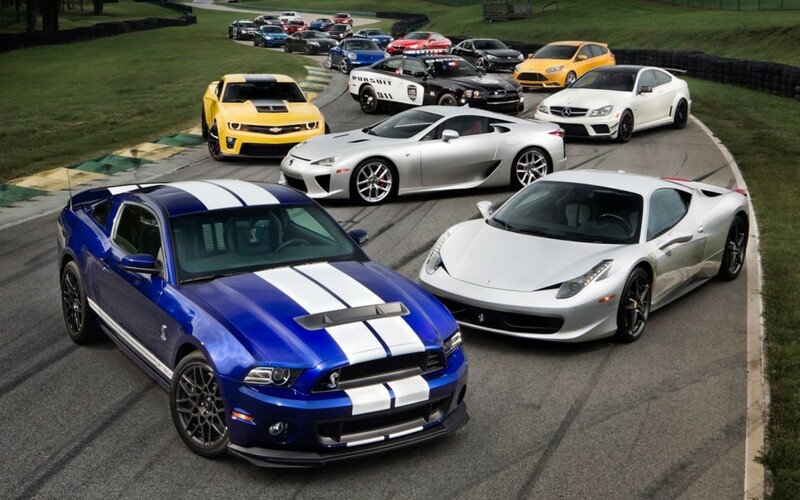 In 1911, the Chevrolet Motor Company of Michigan was incorporated by Louis Chevrolet, a race car driver who eventually partnered with William Durant (original founder of GM) in 1915. 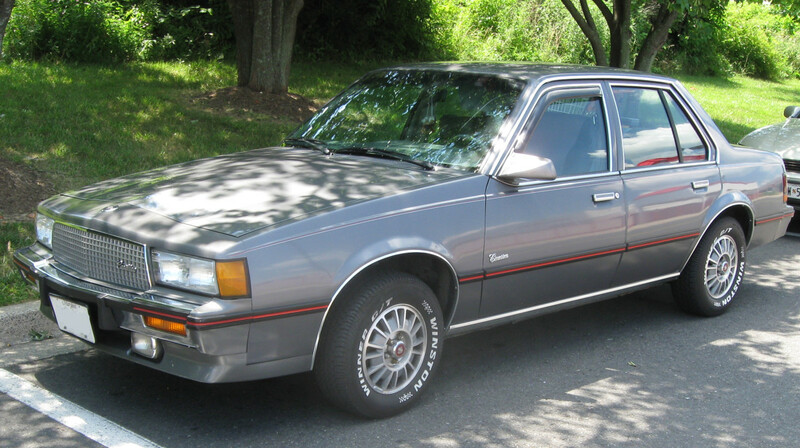 Louis Chevrolet eventually parted ways but the namesake company grew to become General Motors' top-selling line. The Plymouth automobile was introduced in 1928 by the Chrysler Corporation. 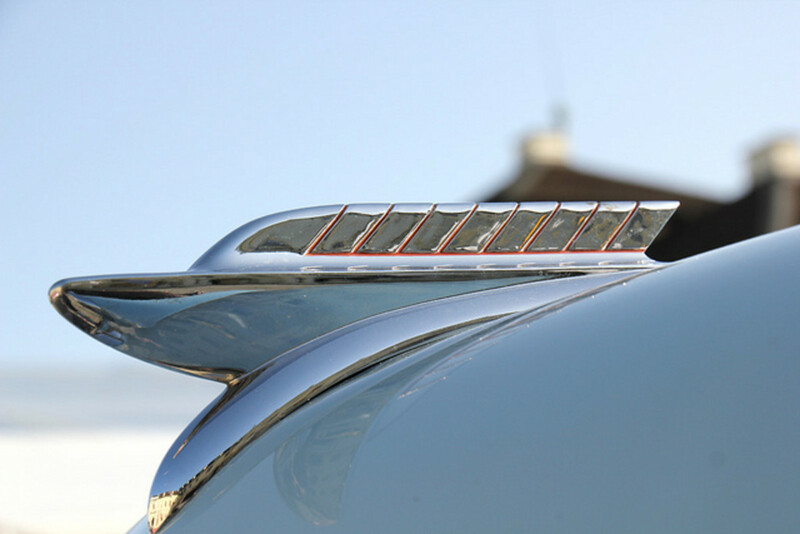 From the 1930s to the early '50s, Plymouth hood ornaments were typically characterized by stylized sailing ships or schooners. In 1926, General Motors introduced a modestly-priced car line produced in Pontiac, Michigan (so named after a famous Ottawa chief). 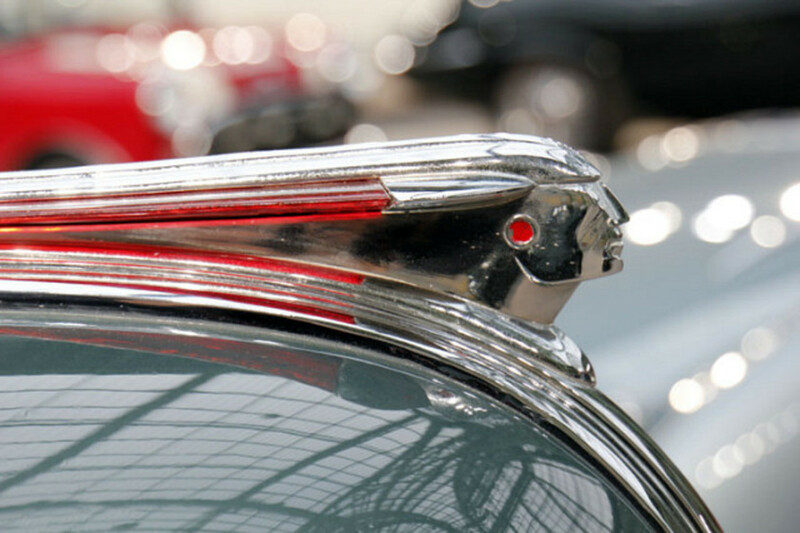 So, it's no surprise that throughout the 1930s, '40s and '50s, car hoods would be adorned with sleek variations of a "chief" with head-dress motif. 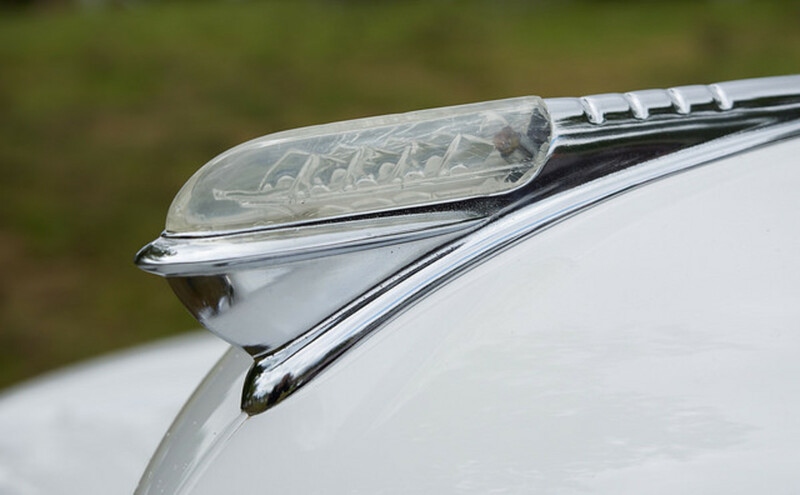 Another identifying ornamental feature of Pontiacs were their "Silver Streaks"—one or more narrow strips of stainless steel which extended from the grille down the center of the hood. I came across the photo below and was intrigued. But I can't find any reference to the model or year of this vehicle. My guess? Since it's slightly reminiscent of some Pontiac "Chief" hood ornaments of the late 1940s and '50s. Maybe this one is a custom piece. Bottom line, it's a beaut! What Are Hood Ornaments Made of? 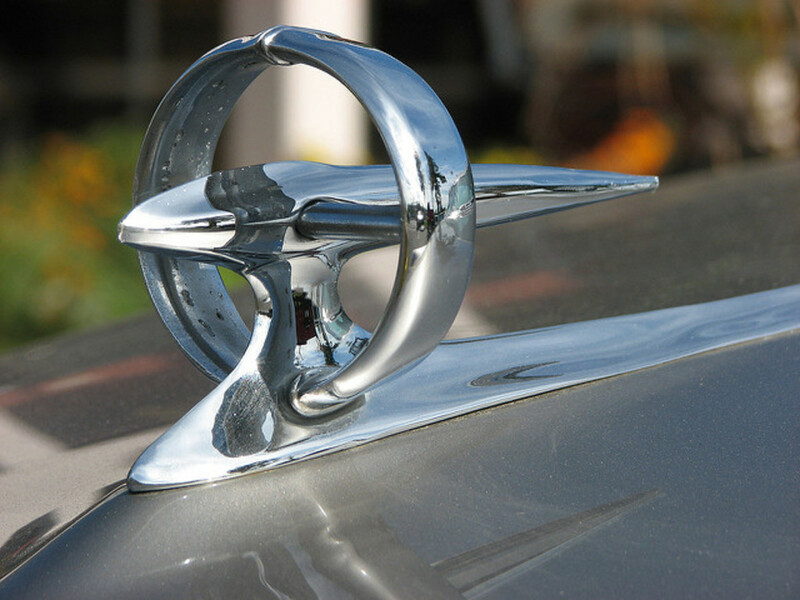 Hood ornaments are usually cast in brass, zinc, or bronze, and finished in a chrome-plated finish. During the years when chrome plate was unavailable, they were plated in either silver or nickel. 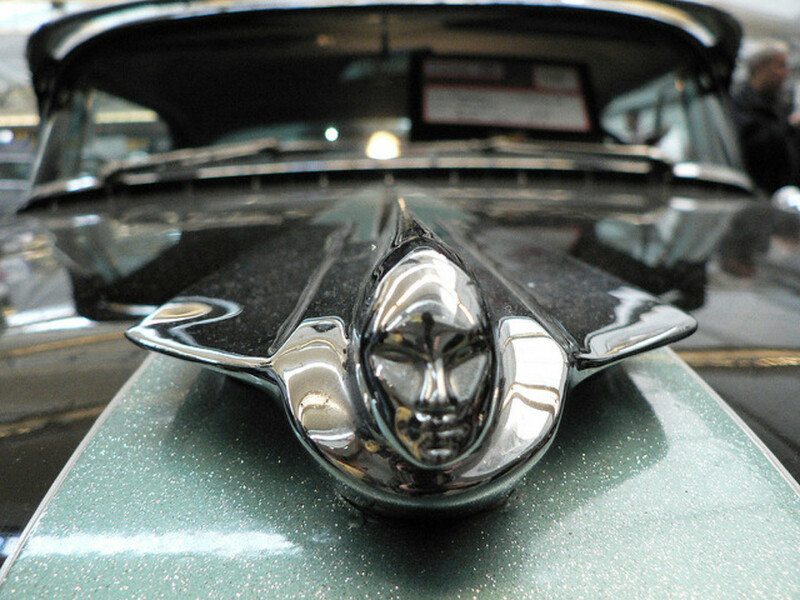 I have a flying lady hood ornament - looks like a deSoto 1942 or perhaps a Cadalic Sixty Special Fleetwood. Only her head is bending further back in the Cadalic. Have in on my cell phone and dont know how to send it to you. I have two old hood ornaments that I can't identify. Is there an app. That would allow me to take a photo and submit to find out what they came off of? No I don't have any other pages on hood ornaments ... but maybe I should consider it! :-) Thanks for stopping by! 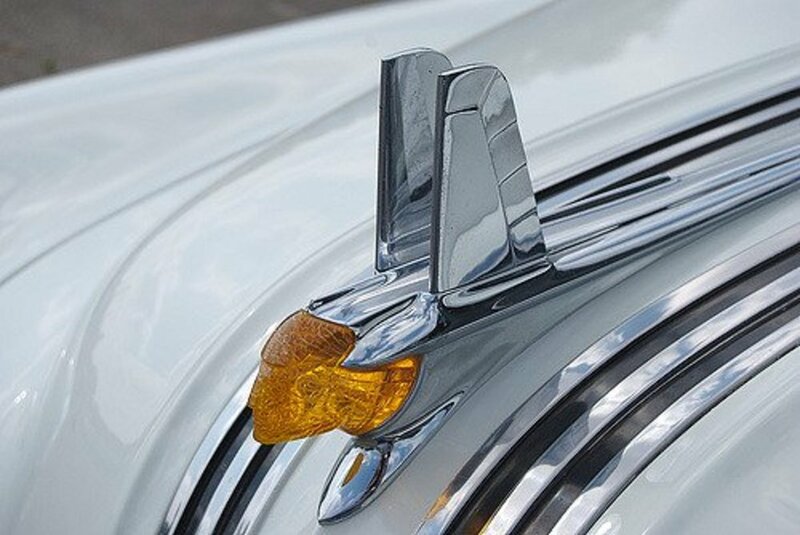 do you have pages of older chevrolet hood ornaments? What an awesome topic! My Dad has a '56 Buick, it has the jet hood ornament on it, totally awesome. They just don't make cool stuff like that today! I want to buy some of these Hood ornaments.pls. suggest. found the one my daughter found in a box from her grandmother's antique shop. Chevorlett Skyline. Never heard of that model but looks exactly like the hood ornament she has. I learned a lot here today. I didn't know that hood ornaments were originally radiator caps. These hood ornaments are classic. I enjoyed the wonderful photos and lens. Thanks for sharing. I was looking for the actual material that hood ornaments were made of pre 1940s - but found so much more information - not to mention a visual buffet! Thanks! 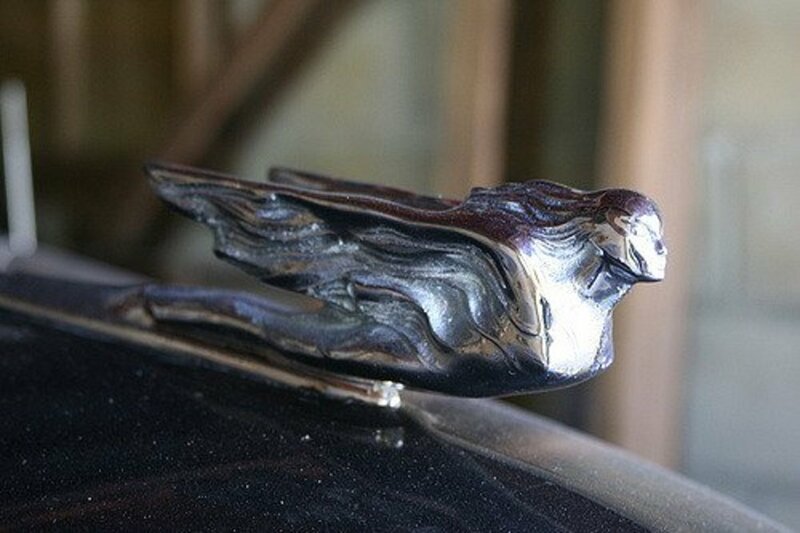 I love the look of many of these hood ornaments, especially the art deco ones. i understand the interest in collecting them. they make such a nice mantle piece decoration. Fantastic idea for a Lens, I love them, they just don't make stuff like this anymore "Built To Last" too. Really nice to see all these old hood ornaments! Fascinating! I love Art Deco styling and 1930s design generally (as I think my vintage clothing and cufflinks lenses bear witness to.) I was familiar with car mascots such as Rolls-Royce's "Spirit of Ecstacy", Bentley "winged B", Rover Viking, etc, but not with the range of US ornamental and makers. Beautiful lens and thanks for visiting and squidliking one of my lenses. When I was a child, my dad traded cars a lot. Every time we got a new car, he "had" to pick out a new hood ornament. He loved his chrome. Thanks for a trip down memory lane. Love the hood ornaments you displayed, but I am trying to determine about a hood ornament I have. It is a swan in silver with its head bent down and red plastic wings. I remember seeing many of these on old cars my family members owned. Brings back memories, that's for sure. Thanks! @LabKittyDesign: For the most part all hood ornaments have been eliminated or at least become flush mounted items due to federal law safety standards. Can't have pedestrians being impaled on sharp pointy things. Yeah, thanks government. So what happened to the hood ornament? 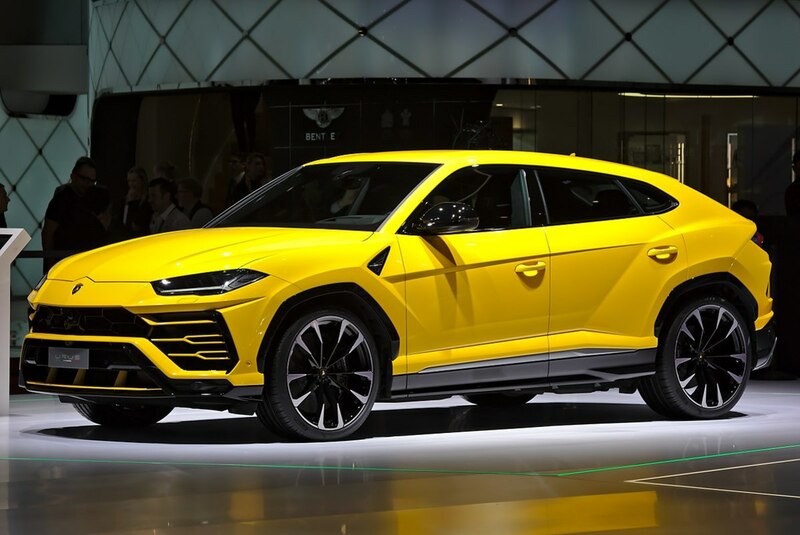 Don't really see them on production vehicles anymore (only Mercedes comes to mind). That certainly is a great effort worth providing all this info! Classic stuff! Those hood ornaments, are really ornaments! 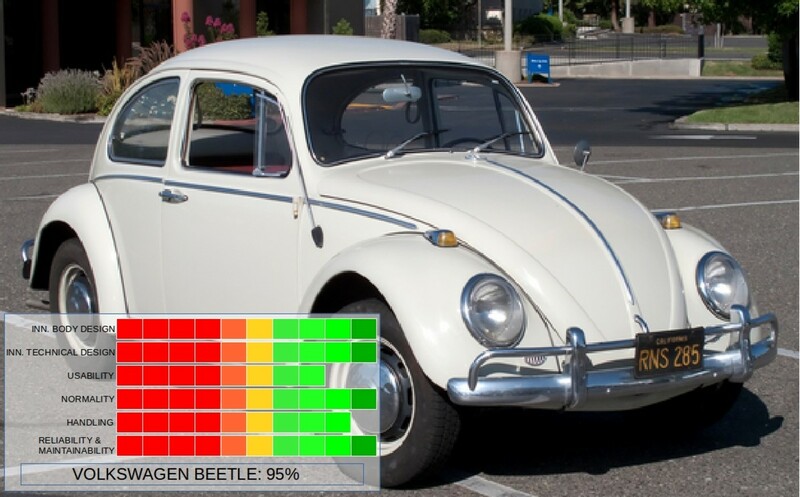 I am a big fan of cars and usually like classics and muscle cars but this information gave me a whole new perspective! Now it'll be those hood ornaments I'd be looking for in today's cars!! Thanks! 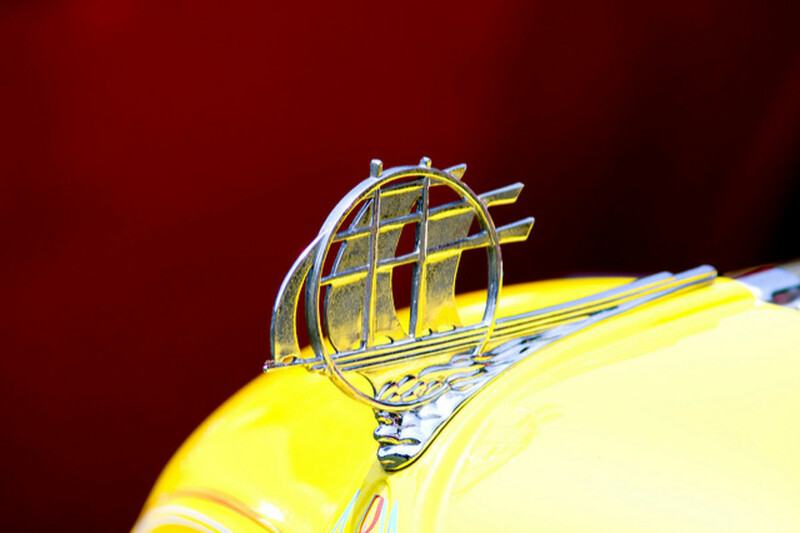 I'm looking for a '36 Chevy pickup hood ornament, does anyone know where I could get one? Yes! They're all so beautiful, they really bowled me over! I have a jet plane hood ornament for sale. 50's model.. I had no idea that there were so many hood ornaments. Nice close up photos. Thanks! My husband is a huge vintage car enthusiast (he owns a 1973 Buick Centurion convertible), and I've accompanied him to many wonderful vintage and antique car shows and museums. He'll love this lens! Blessed. Your site brought back some terrific memories. 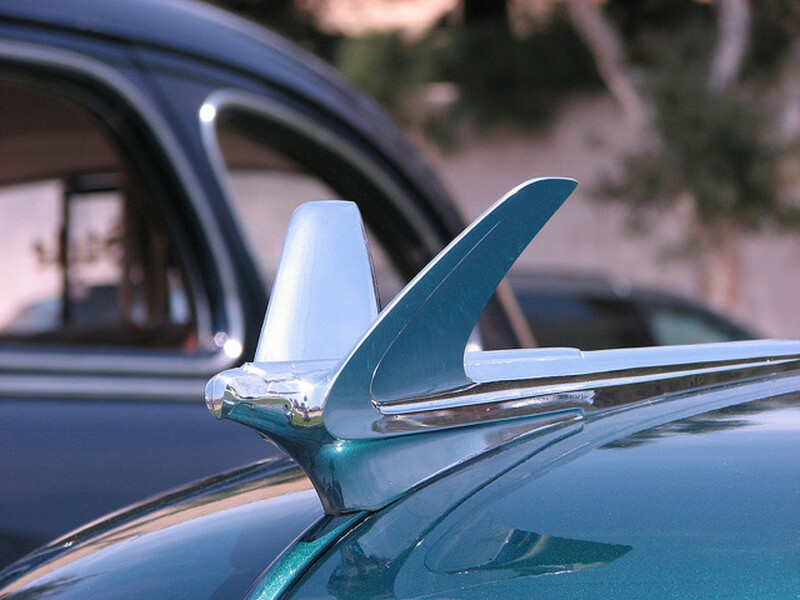 I was a kid always fascinated by hood ornaments, and as I looked at your examples, I recognized them all imemdiately. Well done ! Looking for '54 metropolitan hood ornament. Great lens and choice of photos! I've added you to my Vintage car rally lens. I think my Honda Civic needs a hood ornament. These are so cool. Learned a fair bit here today - when I wasn't too busy ogling the lovely pictures! Man, that was a time when cars were really cars, wasn't it? Nice one! Returning with a fresh angel blessing on this beauty! Arty relics of an age gone by - must be a collecter's delight. Impressive lens. I love hood ornaments! Why don't we have them any more? Revive 'em I say! Thanks for these great images. These vintage hood ornaments are so artsy and classy. These are like trophies to collect. Hood ornaments look so cool but I've hardly seen them on modern cars. 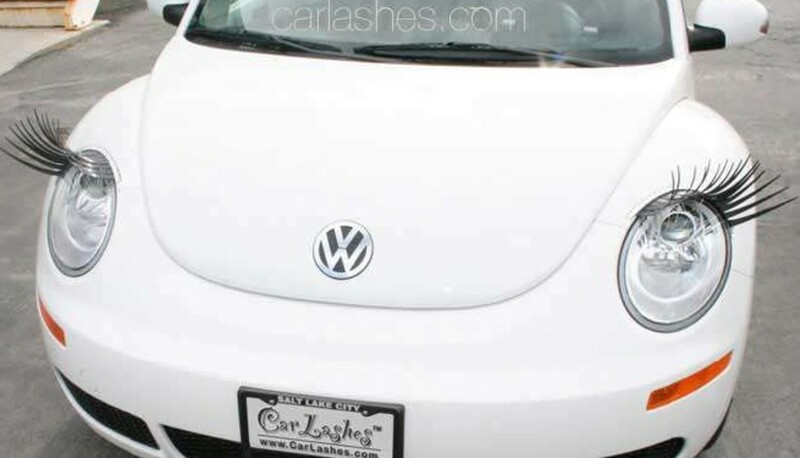 Would it be difficult to modify the hood to place one on a Honda Accord? Wow. A lens with all the hood ornaments. As a young boy I always wanted to get one of each and collect but no one would give them up. These are beautiful and remind me of years gone by. Thanks for keeping these ornaments alive. Fantastic! 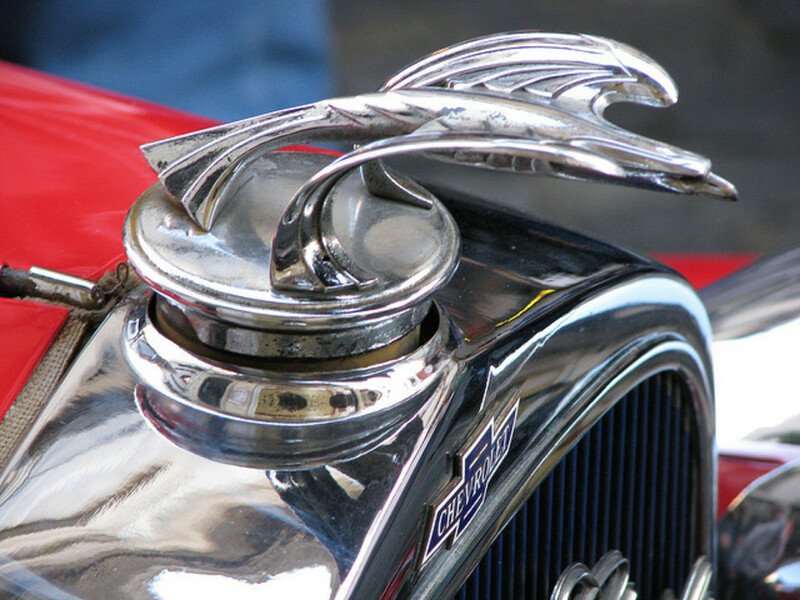 I love the deco era hood ornaments. The style and creativity was amazing. If I had only thought to start collecting them 40 years ago. Thanks for the beautiful images and the wonderful stories to go with them! Great site! I Googled "1930s spinning winged hood ornament" while doing research to find out if there's a name for the winged, spinning hood ornament in the film "Paper Moon." There's a lot of emphasis on it and it's obviously a symbol to the protagonist -- am just hoping to narrow down OF WHAT &amp; thought if it had a name I could be a little more specific. If you do know the name, please let me know! Anyway, I'm glad I stopped by -- interesting &amp; cool stuff here. Love the lens and all the cool car ornaments. Most enjoyable lens! My father had an old Jaguar in the 1970s - I loved to polish the hood ornament on it! Blessed by a SquidAngel. yes! love the lens! cool! Great idea because hood ornament become the branding of the car, a precious symbol, and a piece a history for this industry. You have a great collection here. Hood ornaments also became collector's items that were stolen from the vehicles. That is why some manufacturers made them swivel so it was more difficult to snap off. Two of the most cherished prizes were the Mack "bulldog" and the Dodge "ram." Also any of the high roller cars would do. Mercedes, Cadillac, etc. I did! And I just LOVE this lens... I had to special order a hood ornament once, when mine got lost... and they weren't making cars with hood ornaments anymore by then. Nice to see that you got a SquidAngel Blessing on this one! What an original subject - I love car hood emblems. Nice collection of pictures. 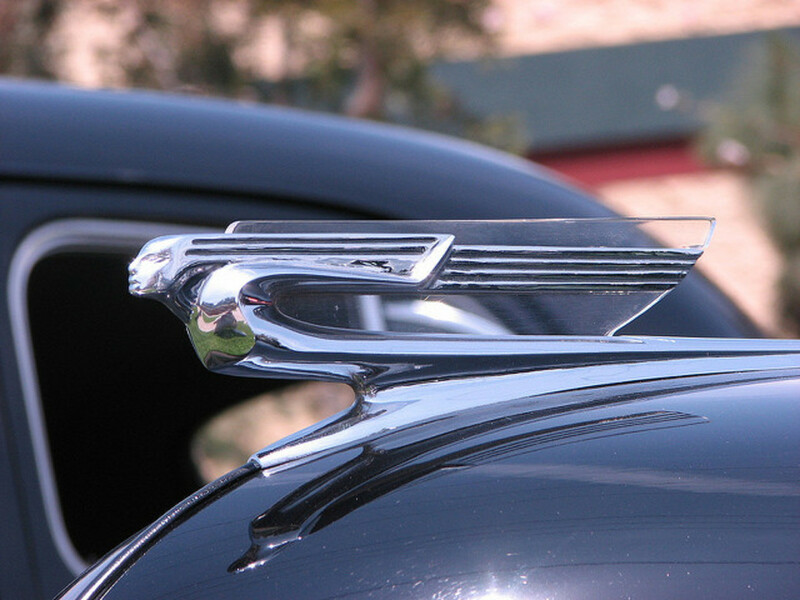 Makers really took pride in their hood ornaments back then. I have a hood ornament that is an M in a circle. What is it from? I just saw an episode of the Antique Roadshow that had featured hood ornaments. Very interesting and a great lens. These are beautiful, great lens! I miss them! When I was little, they were every where and were my favorite part of a care. Great art and beautifully displayed, thanks for the smiles and the memories! Good stuff here, haven't seen these before. Very elegant. Great bit of nostalgia here. 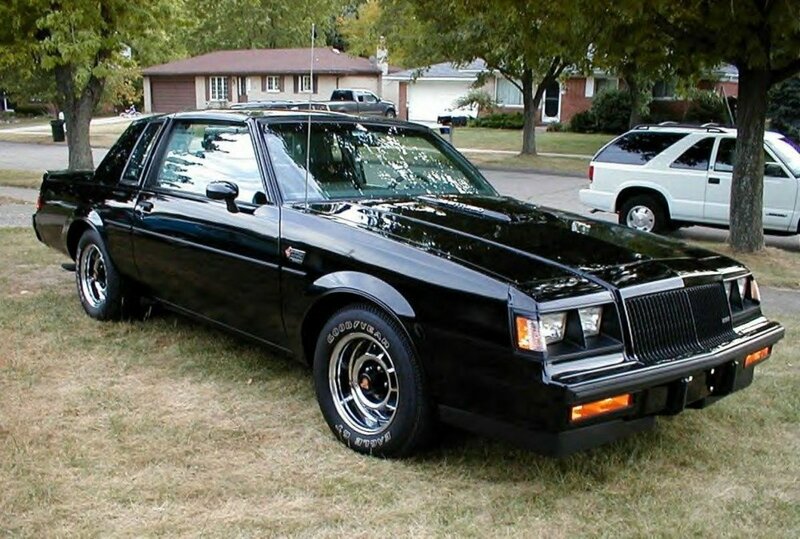 I just wonder about the Plymouth. They do look like ships and I wonder if it has anything to do with Plymouth UK. A major port that many years ago was a sailing starting point to the US. Excellent lens. I love classic cars. Great lens! If only my mini-van had a place... Blessed - great memories! Art deco I love but they are all beautiful art work, a great collections. Thank you for sharing. Hood ornaments! I remember those. Beautiful collection of photos on them. Really lovely. The old ornaments were such works of art. 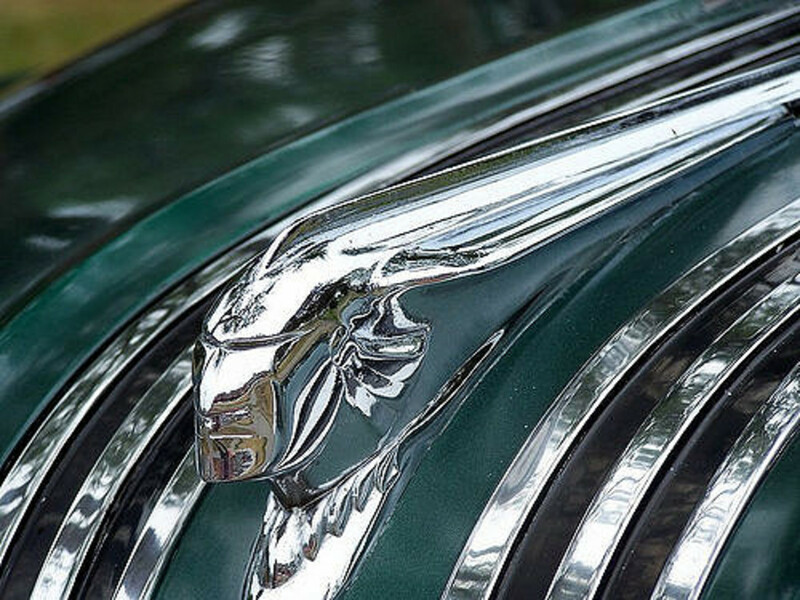 I have an Lighted Amber Wing Cormorant (Pelican) hood ornament that I think comes from a '52 Packard, but I can't find it anywhere. I have found all chrome cormorants. Am interested in what it might be worth. If anyone has an idea, I would appreciate the help. Yes, I finally found out what brand of car that was in our drive-way when I was 8 years old. I called the hood ornament a flying angel A 1955 Cadillac. So, I have been talking to angels since I was 8 years old. Thanks nice pictures, LOVE EM all. Great lens with wonderful photo's. Pity we don't still have them. Then again those old cars really had style didn't they. I liked this subject and how you presented it. Very nice...and blessed by an Angel. This lens will be featured on my angel lens: "angel-on-assignment". Hood ornaments are cool! Those were the days as far as cars go. They sure were distinctive and you could tell one car from another. Today they pretty much all look alike. A Mercedes looks about like a Honda. Too bad. Cool lens and hood ornaments 5*! Very nice work. Love your topic. Fascinating! I love all the variations, never really noticed them before though I have always been a bit intrigued by hood ornaments! Those are beautiful. Very nice. These are pretty cool! Great Lens! These hood ornaments are so cool! Great job! Very interesting. I remember being fascinated by hood ornaments when I was a young girl. I loved to look at them and try to pick out every detail.